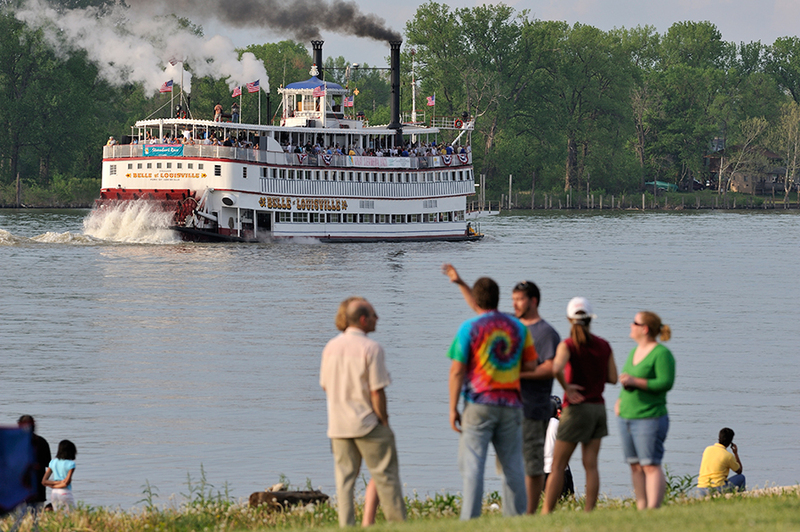 Description: Board the Belle of Louisville for a relaxing evening in one of the Kentucky Derby Festival’s signature events. Sip on Four Roses bourbons and enjoy a buffet as you churn along the Ohio River.Enjoy good food as well. Tickets required. $130. This year’s competition is a little different. In addition to the race itself, there are a series of competitions between the crews of the two boats. The winner of the golden antlers will be the team that accumulates the most points in the various events. One of the five tasks is a Calliope contest. Passenger tickets may be purchased by calling (502) 584-FEST. This entry was posted in Events and tagged Four Roses, Kentucky Derby. Bookmark the permalink.